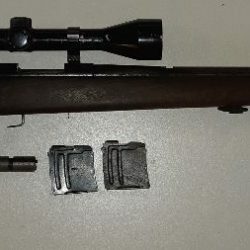 6.5 X 55 Swedish 96 Mauser. Bolt modified and receiver tapped. Plus Lee dies, scope mounts and 145 trimmed, sized and deprimed cases. 73 years old owner regrets sale due to aging eyes. $700 O.N.O. plus freight/charges. 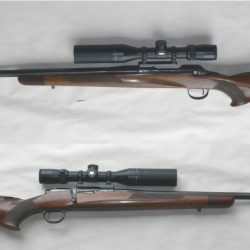 Goats, pigs and deer do NOT like this rifle! Tikka T3 super varmint in 308. Riffle is in a Grs stock and also has a muzzle break.